If you’re finding yourself snowed under by debt, then you’ve probably already considered the possibility of seeking help from a professional to help you in some way or another. You might need help with planning or sticking to a budget, with consolidating your personal debts under one loan, or with exploring alternatives to bankruptcy.If you’re still holding off from talking to a professional, perhaps it’s because you don’t quite know what to expect. So, what can you gain from enlisting the help of a debt solutions company to get your debt under control? A reputable debt solutions company will have your best interests as a priority. They will be able to provide you with unbiased advice about your finances and the best options for you. Because they are not involved in your debt in the way a mortgage broker, bank or credit card company is, they are able to provide advice that is free of any agenda or personal gain. 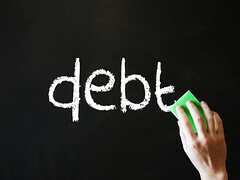 A debt solutions company is dedicated to putting years of experience into knowing how to best address your debt issues. An effective and long term solution is the goal – no quick “band-aid” style fixes that will come back to bite you down the track. A debt solutions company will handle communications between you and your creditors. This means that a reputable provider will be utilizing already established working relationships to come to a quick and effective solution. With a debt solutions company handling communications, matters are solved with professionalism and efficiency. A professional knows the industry well, and knows the right laws and processes to have any matters finalised quickly and in a way that is mutually agreeable for all parties involved. When you employ a debt solutions professional, you have the advantage of having a knowledgeable and skilled professional working with you to assess your own individual situation and explore options with you, one-on-one, to find one that suits you personally. You don’t end up with a budget or a loan that you cannot afford, that doesn’t suit your lifestyle, or that won’t work for you in the long run. Instead, you are part of the process and are helped to understand exactly what you’re getting into and what you need to do to free yourself from debt and manage your money better in the future. Contacting a debt solutions company is a worthwhile and rewarding process that will save you money in the long run, and provide you with long term solutions. While the advantages are great, it’s important that you’re on the lookout for any sign that the company may not have your best interests at heart. The best way to ensure that you get what you need out of a debt help provider is to ensure that you go with a reputable company. Fox Symes is a great example – they are Australia’s largest debt solutions company and help over 100,000 Aussies each year to get their finances back in control. They offer help with many different debt management options, and even offer free consultations over the phone. This is a great place to start dipping your toes in the world of debt solutions, as you can speak to a professional about your options without any obligation and get a good idea of what you can expect. To find out more just visit their website at http://www.foxsymes.com.au/. So, now that you know what a debt solutions company can do for you, there’s no need to keep hesitating. Make the call now and take the first steps to regaining control of your life and your money. About the author:Tara is a personal finance and business writing specialist from Brisbane, Australia. If you are experiencing large amounts of debt, Tara recommends talking to the professionals at Fox Symes to find out if consolidating your debt is a suitable solution for your situation. How Much Money Should I Put Toward Debt Each Month?